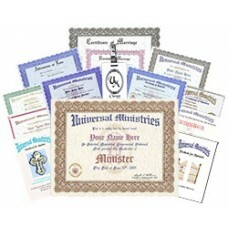 Designed to provide you with the greatest number of items you may need in your ministry.Package incl.. Created for limited budgets while providing the registration and the credentials you will need i..
wedding officiantThe minimum registration and the credentials you will need in your ministry. The M.. 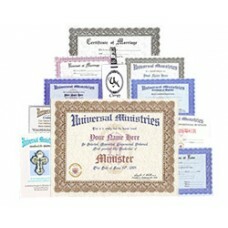 Designed to provide you with the greatest number of items you may need in your ministry.Note: You mu.. 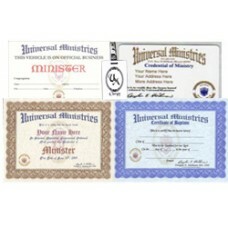 The minimum registration and the credentials you will need in your ministry.Choose from: Abbe ..